Zadar - Kuća Bajlo | Vegetarische B&B in Zadar, Kroatië! 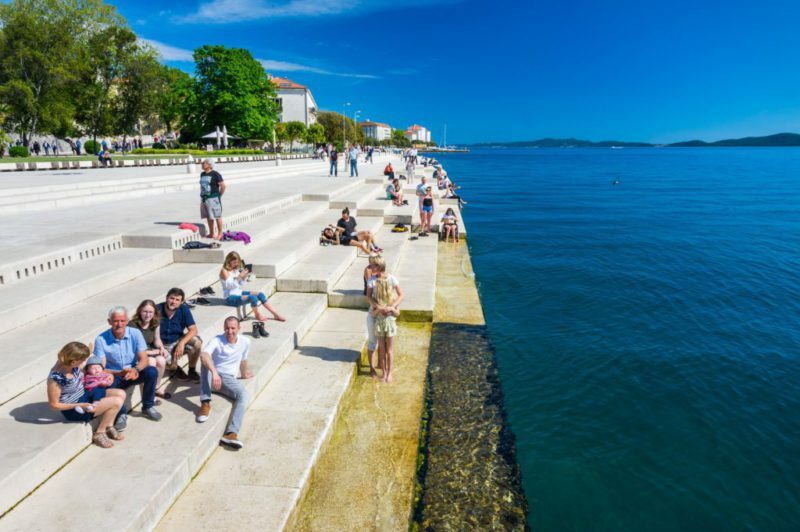 Zadar is a peninsula in the Adriatic Sea. 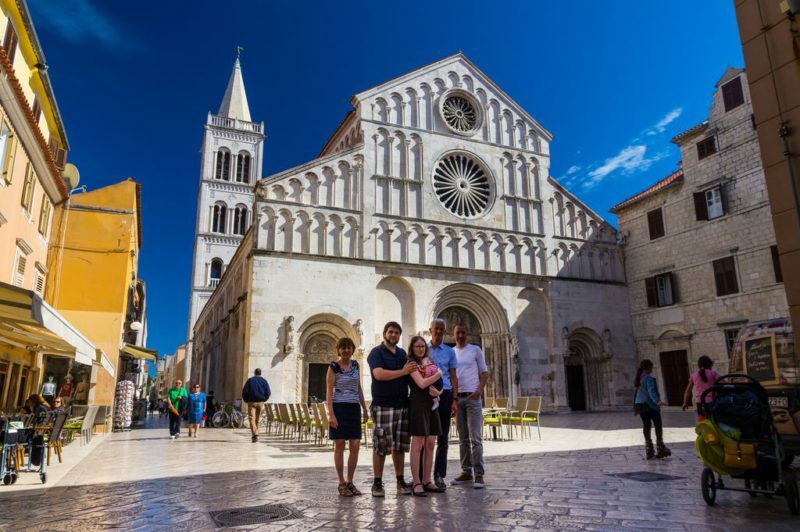 The old city of Zadar has lots of beautiful things to visit and to enjoy. 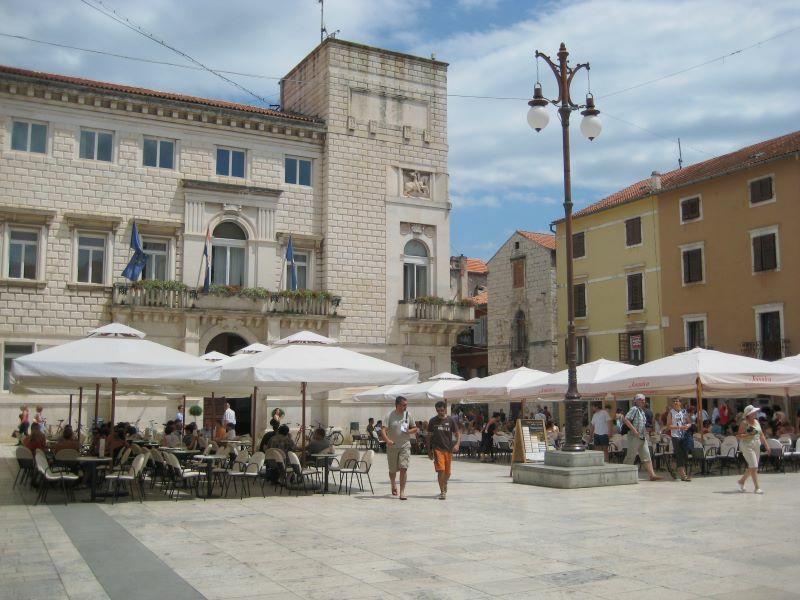 The historic part of Zadar is very interesting. 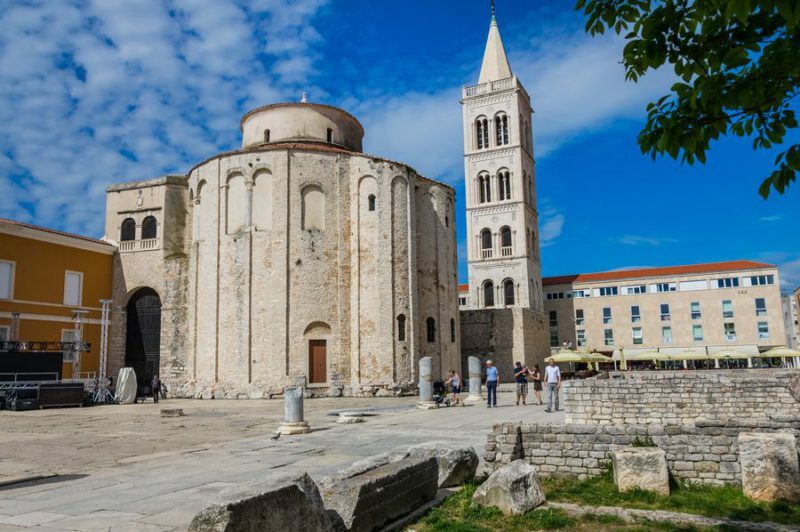 Saint Donat Church with the Roman Forum: one of the monuments not to be missed, it is the symbol of Zadar. Saint Anastasia cathedral, the largest Romanesque church in Dalmatia. 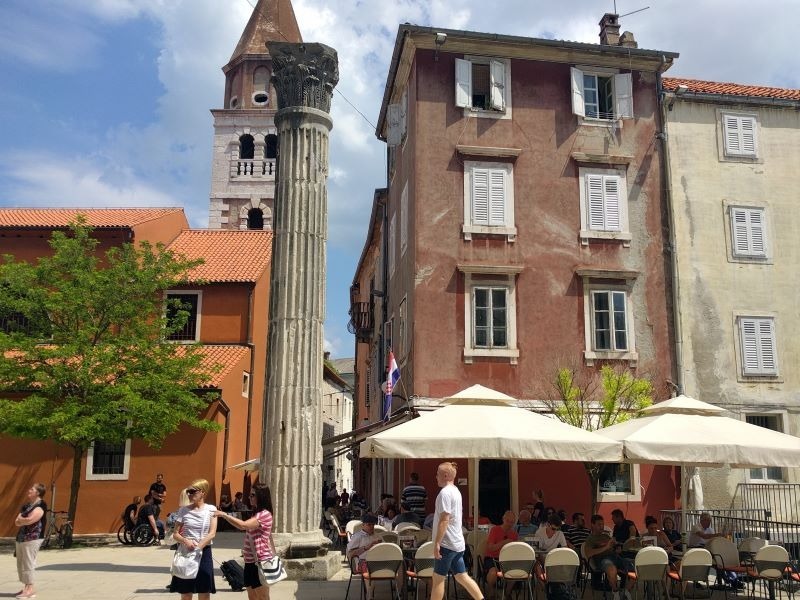 A climb up to the tower will rewarded you with a breathtaking view of Zadar, sea and islands. People’s Square, the centre of public life, this pretty little square is constantly abuzz with the chatter from its many cafe-bars. Five Wells Square, 5 water citernens from the 16th century. In the park nearby you can walk quietly in the shade. Musea: we recommend the archaeological museum and the museum of antique glass, and for children the museum of illusions. 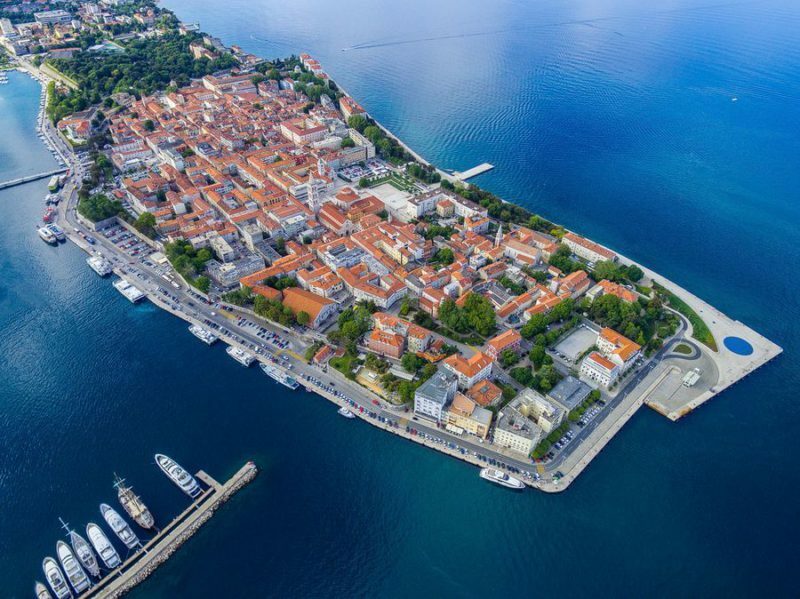 Riva, a city promenade with a view of the Zadar Channel, the islands of Ugljan and Pašman and the open sea to the northwest. A wonderful place to walk around and enjoy its beautiful green parks and palm trees. Hundreds of people enjoy at the Riva the sunset. According to Hitchcock one of the most beautiful sunsets in the word! 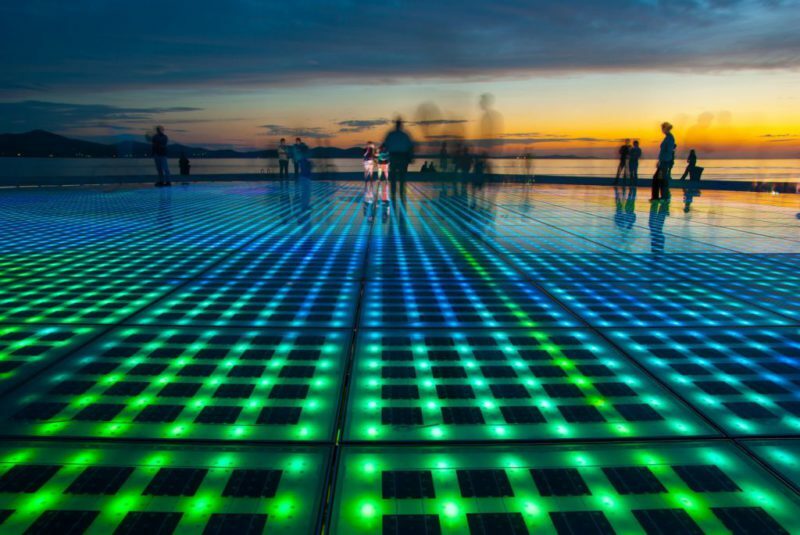 Sun Salution, a wonderful creation by local architect Nikola Bašić, this 22m-wide circle set into the pavement is filled with 300 multilayered glass plates that collect the sun’s energy during the day. It produces a trippy light show from sunset to sunrise. Sea organ, a unique musical instrument, also designed by architect Nikola Bašić. Set within the perforated stone stairs that descend into the sea is a system of pipes and whistles that exudes wistful sighs when the movement of the sea pushes air through it. The effect is hypnotic, the mellifluous tones increasing in volume when a boat or ferry passes by. You can swim from the steps off the promenade while listening to the sounds. 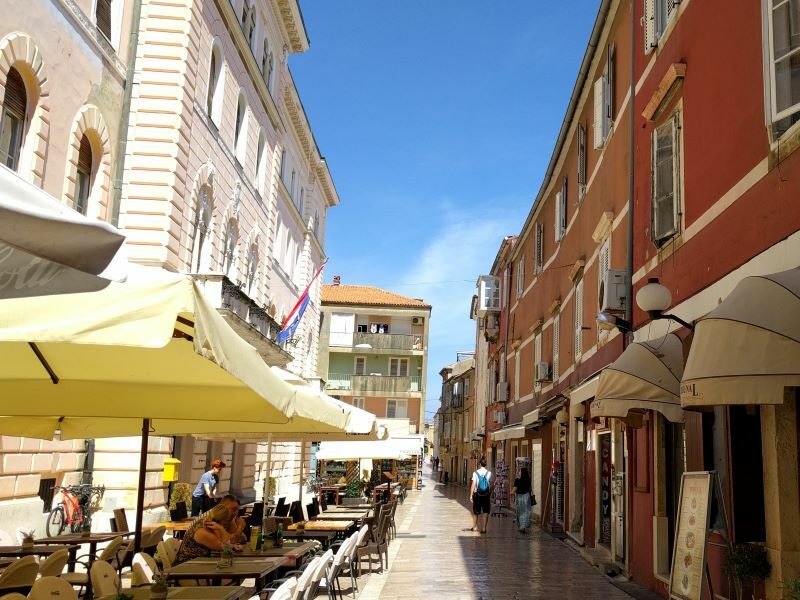 Kalelarga, the main road “Kalelarga” is the lifeblood of Zadar. You can easily find a lot of very cozy restaurants, terraces and nice shops. On the left as well as on the right you’ll discover beautiful historic buildings and picturesque alleys. Barkajoli, take a moment off your feet and have a trip across the harbor with the Barkajoli. The same family has operated this rowboat service for over 800 years! It is a very proud tradition in Zadar, and you will find them rowing rain, wind or shine. Once across the harbor, continue walking down the pier and enjoy a fresh breeze and new view of the city, while sitting on the terrace of the local cafe. The Daily Market,traditional market, with seasonal, local products, colourful stalls selling fruit and vegetables, fresh fish.